I joined over 200 other MPs this week to support Breast Cancer Now’s ‘wear it pink’ fundraiser, which will take place on Friday 19th October to raise money for vital breast cancer research. 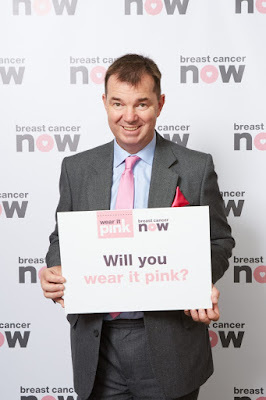 I added a splash of pink to my usual attire, and now I am encouraging you to do the same by signing up and taking part in ‘wear it pink’, which takes place in Breast Cancer Awareness Month in October. So far the annual event has raised over £31 million towards Breast Cancer Now’s important work, aiming that by 2050 everyone who develops breast cancer will live and live well. Anyone can take part in ‘wear it pink’, whether at work, school or in your local community. All you need to do is wear something pink or hold a pink themed event and donate to Breast Cancer Now. Each year around 11,500 women and 80 men lose their lives to the disease, so let’s all make a difference and wear it pink next month!